Demirci, Onur Okan, et al. "Metabolic parameters in patients with major depression treated with escitalopram." 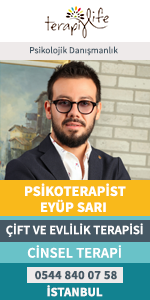 Anatolian Journal of Psychiatry 17.6 (2016): 482-488. Demirci, Onur Okan, et al. "Comparison of Eye Movement Desensitization and Reprocessing (EMDR) and Duloxetine Treatment Outcomes in Women Patients with Somatic Symptom Disorder." Sleep and Hypnosis 19.3 (2017): 70-77.